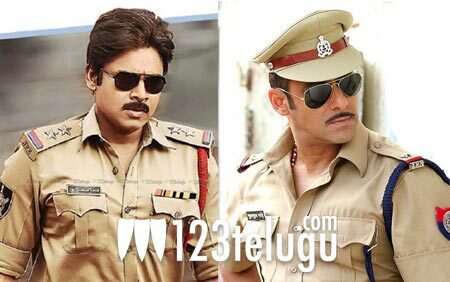 It’s a known fact that Harish Shankar is a big fan of Pawan Kalyan and he was on cloud nine when he got a call from the Powerstar to direct the remake of Dabangg. Sharing his thoughts about the film, in a recent interview, Harish Shankar said, “Pawan Kalyan is bigger than Dabangg. I was making a film bigger than Dabangg.” Apparently, for the first couple of days, he kept on okaying shots in a single take till Pawan Kalyan reminded him to check again and finally he came out of the mould of being a fan. The film has done phenomenal business at box office and has become one of the biggest blockbusters ever in the history of Telugu cinema. Post the success of the film, buzz is that Harish Shankar will soon be directing a film with NTR in lead role and he has already begun working on the script. Apart from this film, he has also agreed to direct another film which will be produced by Parachuri Prasad. Interestingly, he’s also keen on directing Hindi films with either Akshay Kumar or Salman Khan in lead role. It’s just a matter of time before he grows from strength to strength as a filmmaker in the industry.